This popular resort boasts a spectacular setting in Bali. The resort lies close to a host of attractions in the area. Guests will find themselves surrounded by natural beauty, and ample opportunities for exploration and discovery. Steeped in the culture and history of the area, this resort affords visitors the perfect setting from which to discover the country's heritage. The resort comprises superbly-designed accommodation options, which reflect tropical splendour in their design. The guest rooms are beautifully appointed, and are well equipped with modern amenities. Guests are sure to be more than impressed by the wide range of first-class facilities and services that the resort has to offer. Enjoy this relaxing hotel situated on the largest white sand beach on the island. Guests can enjoy many adventures around the island such as water sports and island driving tours. Hotel offers a helpful activities desk in reception for those ready to plan their adventures. Hotel is ideal for those travelling alone, with family, or looking for a romantic getaway, all rooms or suite offers a stunning view either over the beach, tropical gardens, or over the village. Guests seeking an intimate setting may enjoy total privacy in our rooms. The resorts offers astonishing villas in which four are one-bedroom private pool villas. Enjoy your time with family and friends at the hotel's beach club and full service bar. 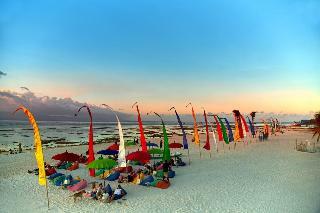 The beach club is on the widest white sand beach on Nusa Lembongan, named Mahagirl Beach. Guest can enjoy some relaxation in hotels shared beach club swimming pools. Come and enjoy the scenic sunset and sunrise in the island that offers a complete experience that all tourists dream of. This popular, family-friendly bungalow hotel is situated right on the sandy beach in the island paradise of Nusa Lembongan with fabulous views of the sea and Agung Mountain. Visitors may wish to take a short walk over the scenic suspension bridge to neighbouring Nusa Ceningan Island, lounge in the sun on the beach, or go for a refreshing swim in the hotel's sparkling outdoor pool while families splash around in the children's pool.Each bungalow is furnished with a comfy double bed, semi-open air bathroom, balcony and complimentary mineral water. Guests will appreciate the hotel's extensive list of helpful services such as 24-hour reception, babysitting services, help with tour and activity planning, fishing equipment, personal assistants and massage services. This is the perfect retreat from the hustle and bustle of city life for families and couples alike. Sedok jineng villa is three stars villa have 5 villas which room size 5 x 4 square meters complete with one double bed mosquito net Individual remote control air conditioning semi open air bathroom with toilet guest amenities standing cool and hot shower and complimentary towel.Each villa has double bed with private balcony with great garden view. 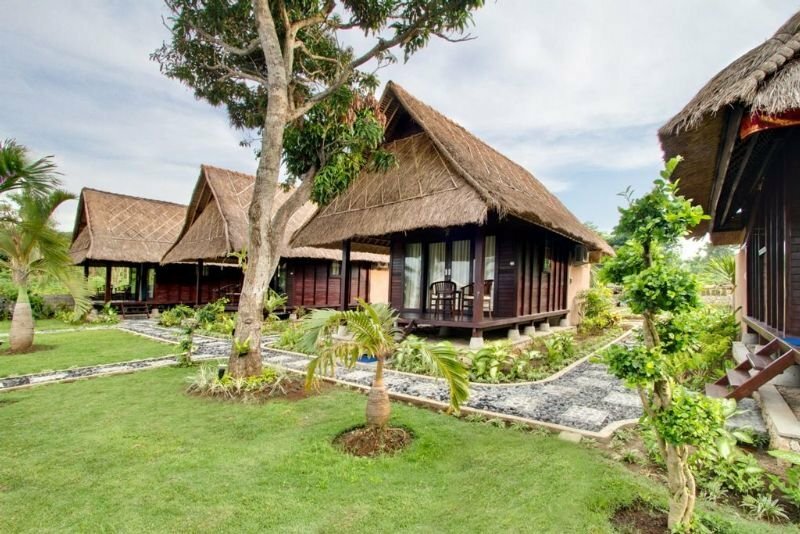 The villa can accommodate single couples or triple with extra bed.Sedok Jineng Villa Restaurant serves both Indonesian and western dishes. 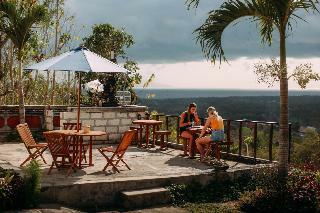 On the coral hill, the hotel is located on Nusa Lembongan Island to the south-east of Bali. The hotel is accessible from Bali's eastern coast (about 12 km away) and is just a one-hour boat ride from Sanur Beach.This club resort offers a view across the Badung Strait to the eastern coastline of Bali and the magnificent silhouette of Mount Agung. 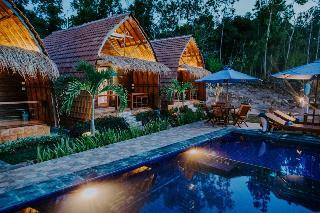 It provides luxurious villas, and is surrounded by lush tropical gardens. It is an ideal holiday retreat in a tropical paradise. It offers a bar, restaurant, conference facilities and a laundry services. Mountain bikes are also available to hire.The rooms are decorated in traditional Balinese style, with stylish wooden furniture, soft beds (doubles), sofas with cushions, lamp shades and nice wall hangings. All the 23 rooms have an en suite bathroom, hairdryer, individually-adjustable air conditioning, a safe deposit box, direct dial telephone, Internet access and a CD player. Satellite/cable TV, a minibar, tea and coffee making facilities, an ironing set and balcony or terrace all feature as standard.The resort offers an outdoor pool with sun loungers, a solarium, gym facilities, as well as massage and spa treatments (both subject to fees). Guests may take advantage of the various walking tracks around the island. Canoeing, snorkelling, diving (subject to fees), jet skiing (subject to fees), surfing and fishing trips are also offered. The nearby beach is sandy. 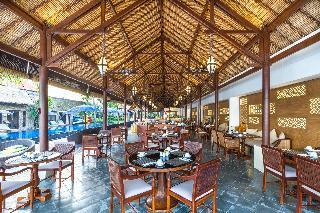 Biking is also offered.The restaurant and bar offers a variety of traditional Indonesian and international cuisine. The restaurant overlooks the swimming pool and offers a partial view of the ocean. The Acala, Lembongan offers the ultimate hide away holiday combine with the indulgence of exceptional services within an exclusive world. It is perfect setting of pure serenity, utmost privacy and unrivalled luxury. Comprising with 13 exclusive pavilions with free Wi-Fi throughout the resort, situated on East side of the Island where you can see very exotic sun rice. The resort has an outdoor pool and view of the sea from your room, delicious Asian and Western dishes are served at the on-site restaurant and refreshing drink can be enjoyed at the bar. All pavilion feature king and twin of four-poster bed with mosquito net, Sunken Marble bathroom with separate standing shower, a flat-screen TV with satellite channel, Mini Bar, coffee and tea making facilities. 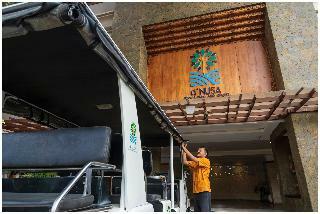 The resort is set on in front of the Light House, in Nusa Lembongan, Bali. The concept is a blend of sea and jungle, designed with natural materials in a modern Balinese style with high quality and luxury furnish and room facilities. At the Beach club and Restaurant that are overlooking the white sands beach guests can enjoy the beautiful sunset every afternoon. They can enjoy the water activities at beach in front the resort or get water sports & activities at the big floating pontoon located at mangrove spot point. 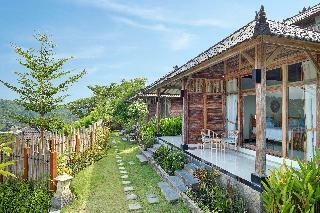 The spacious and bright rooms are designed in a modern Balinese style using natural and native materials. All the furniture are made from wood and the bathroom is modern and fully equipped. There is also facilities for making coffee and tea. For business travellers there is a fully equipped air conditioned meeting room. After an exhausting day guests can relax at the Spa or and exercise at the gym. This charming hotel can be found in Lembongan Island. Those wishing to escape the hustle and bustle of daily routine will find peace and tranquillity at this accommodation. Sundi Ocean Bungalow offers Wi-Fi internet connection on-site. Additionally, the premises provide a reception service the whole day through. Unfortunately, there are no bedrooms where guests can ask for a cot for the little ones. No pets are allowed on the premises. This lovely hotel can be found in Lembongan Island. With a total of 4 units, this is a nice place to stay. Sunrise Penida Hill offers Wi-Fi internet connection on-site. Customers may contact the reception desk any time during the day. Cots are not available at Sunrise Penida Hill. Those who dislike animals may enjoy their stay, as this establishment does not allow pets. 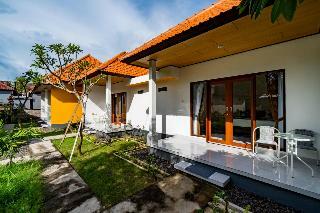 This simple guest house is located in Lembongan Island. 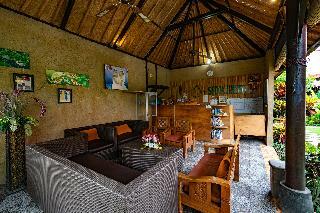 Anugrah Sari Homestay guarantees a quiet stay as it counts with just 4 bedrooms. Anugrah Sari Homestay offers Wi-Fi internet connection on-site. As this establishment features 24-hour reception, guests are always welcome. This accommodation does not offer cots on demand. Anugrah Sari Homestay is not a pet-friendly establishment. Great location, terrific set up with very friendly staff. The food was great - a really very pleasant experience. Will be going back.